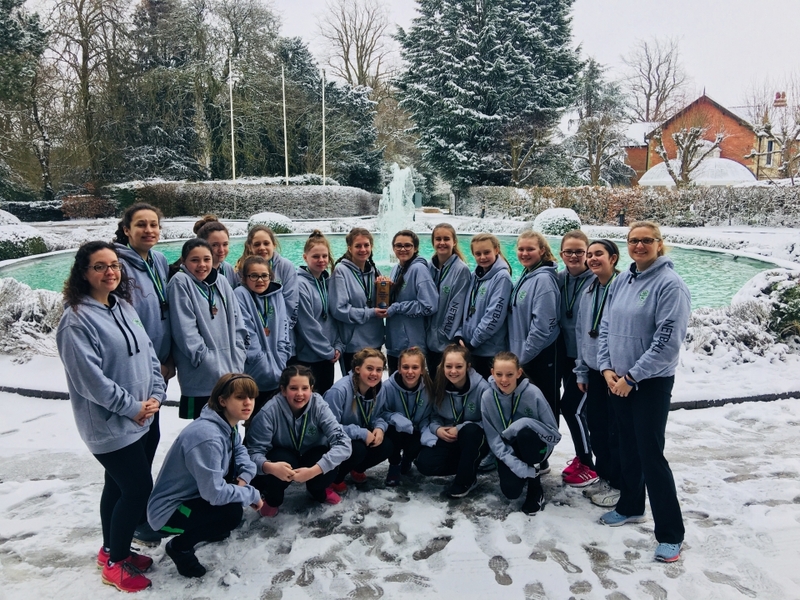 An amazing group of students embarked upon our Sports Tour to PGL Liddington in March – a snowy weekend of Netball, Football and PGL activities. The Football boys had a very cold coaching session showing off their great skills whilst the two Netball teams took to the courts in the preliminary rounds of the tournament. The afternoon was full of great activities at PGL, the boys took on each other in a fencing duel and the girls took to the high rope courses in the bitterly cold weather. Most were brave enough to stay out and enjoy the thrill of the Zip Wire, Giant swing, Abseiling and Aeroball. In the Netball team A played some amazing netball winning all but one game and the B team played brilliantly considering they had never played a match together to win 2 games and come close in the others. As the weather drew in we were left over night in great place for the final day of Netball. Unfortunately it was too snowy and the courts were unplayable. The placings were worked out on the previous days play. Team A came out on top of their group and became winners of the tournament and the B team came a very respectable 4th place. An AMAZING tour! Well done to all students and thank you to all staff for a wonderful weekend.